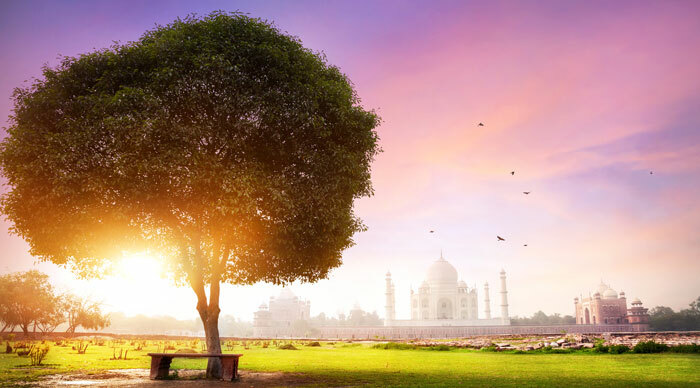 A chance to see the exquisite Taj Mahal, one of the best creations of mankind, is more than enough to draw millions of tourists to Agra, a beautiful city known for its Mughal-era architecture. The Taj is sure to be the highlight of your Agra adventures, but it isn’t the only place to see while in Agra. Don’t make the mistake of being fixated on the Taj, for there are other adventures to explore as well. After all, you would want to see as much as you possibly can in the odd day or two you spend in this magnificent city. No trip to India ever feels complete without visiting the iconic Taj Mahal, an artistic masterpiece that presents different colors at different times of the day. This white marble beauty was created by Shah Jehan in the memory of his wife Mumtaz Mahal and the monument has not only remained famous as one of the shining jewels of Mughal architecture, but also as a symbol of love. Rightly declared a UNESCO World Heritage Site in the year 1983, the Taj is also part of the Seven Wonders of the World and watching its beauty on the night of a full moon is sure to leave you speechless. Bookmundi has an exciting tour to the Taj that is sure to help you explore this magnificent monument at its enchanting best. Agra Fort may not be as famous as the iconic Taj Mahal, but it is every bit as beautiful. 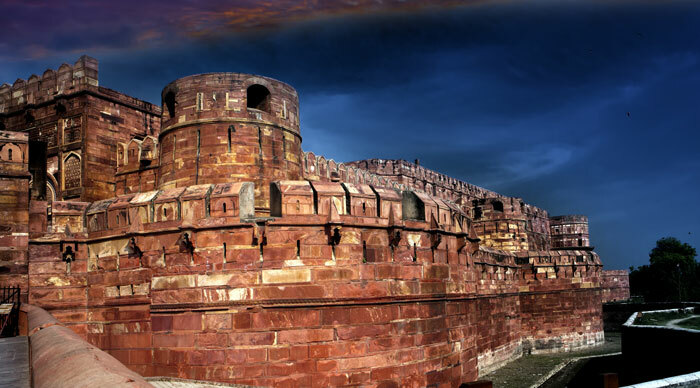 Popularly known as the Red Fort of Agra, this 16th century fort is another example of the architectural brilliance of the Mughals and since it is located just 2 kms away from the Taj Mahal, you can also look at the magnificent building from the fort. In fact, Shah Jehan spent the last few years of his life imprisoned in this very fort viewing the monument he built for the love of his life. 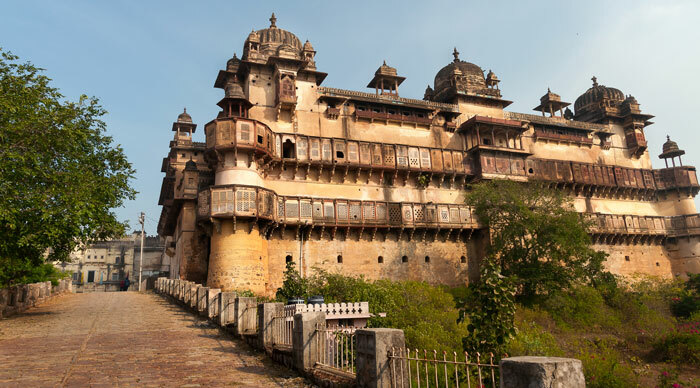 The fort is also home to a number of palaces such as Jahangir Palace and Shish Mahal. Jahangir Palace, a beautiful combination of Central Asian and Hindu architectural styles, is one of the largest palaces to have ever been built inside a fort. 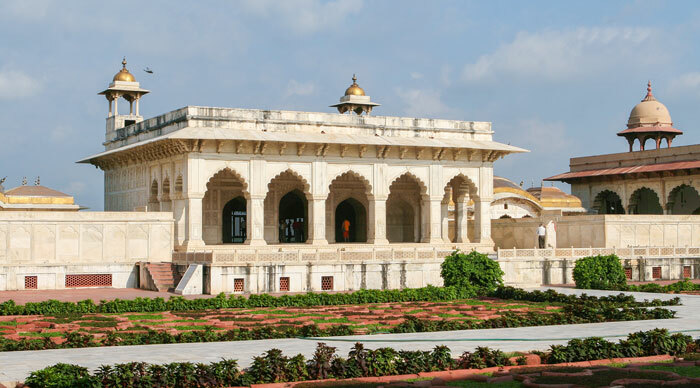 It was built by Emperor Akbar for his son Jahangir and was designed to offer all kinds of luxuries befitting a prince. The Shish Mahal was designed with tiny mirrors in its walls and was often used as a dressing room. Jehangir’s Hindu mother Jodhabai also had a dressing room in the mahal, and this is why you see one room that has been designed using a Hindu architectural style. The mahal also had a typical Mughal garden where grapes were grown and a huge bowl carved from a single stone stood at its entrance. A trip to this mahal speaks volumes about the lifestyle and the culture of the Mughals. The Khas Mahal is another beautiful white marble wonder inside the fort. Built by Shah Jehan for his daughters Jahanara and Roshanara, the mahal was dominated by its beautiful fountains, open courts and white marble pavilions. The central hall was separated by two identical pavilions that were plastered with ornate floral patterns, skillful gold work and white shell plaster. Blue and gold were the colors used to decorate the walls and traces of these colors can be seen even today. Mehtab Bagh is a garden complex located on the bank opposite the Taj Mahal. Popularly called the Moonlight Garden, the park was originally built by Mughal Emperor Babur, much before the Taj was conceived. It consists a total of 11 parks and fell into complete disrepair. However, in an effort to preserve the Taj, the sand was removed from the park and the gardens were reconstructed. Today these gardens offer one of the best views of the Taj as they are perfectly aligned to the iconic monument. In fact, the view of the Taj from the fountain in front of the entrance gate is sure to become one of your best experiences in Agra. 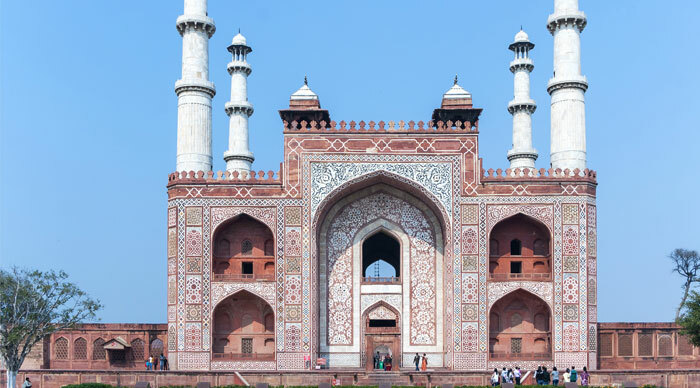 Built using red sandstone as well as marble, Akbar’s Mausoleum is located in the city of Sikandara, located at a distance of 10 kms from Agra. The complex consists of two buildings, a massive gate and the mausoleum itself, both being connected by a wide paved walkway. The Buland Darwaza, also called the Gateway of Magnificence, and is one of the most impressive feats of Mughal architecture and is far more impressive than the mausoleum. It presents a huge archway and four beautiful marble minarets and leaves you speechless with its exquisite architecture. Built by Emperor Akbar in the year 1570, Fatehpur Sikri is a city that was actually a tribute to a Sufi saint. Considered to be the perfect blend of Persian, Indian and Islamic architecture, the city was built using red sandstone and remained the capital of the Mughal Empire for close to 10 years. The city houses some of the most important buildings of the period such as Birbal’s House, Jama Masjid and Panch Mahal and was declared as a UNESCO World Heritage Site in the year 1986. 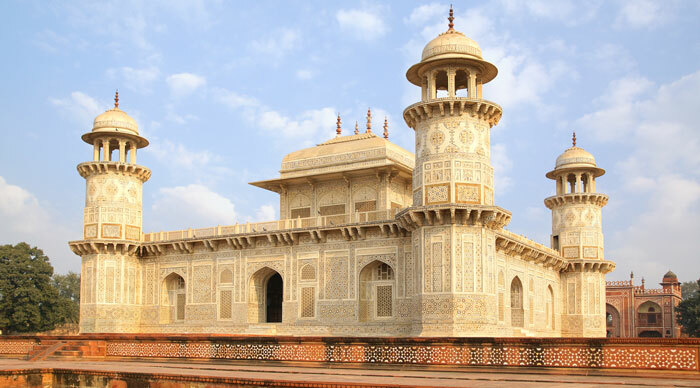 Itmad-Ud-Daulah, the first tomb of India, was made entirely out of marble and signaled a new era in Mughal architecture. 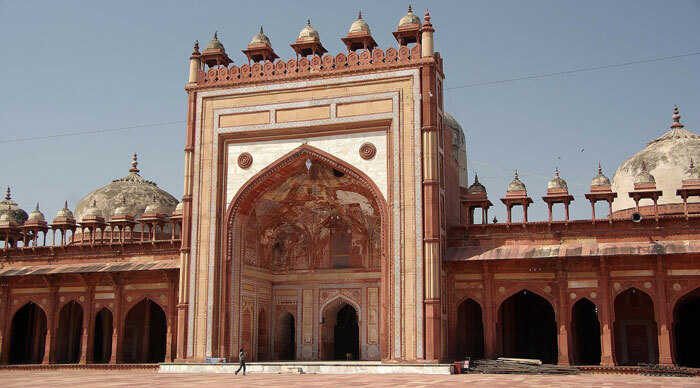 Before the construction of Itmad-Ud-Daulah, most Mughal buildings were created using red sandstone. The tomb was built in the memory of Mirza Ghiyas, the father in law of Jahangir, and it presents an Islamic architectural style with a Persian touch. The wall paintings inside the palace are particularly beautiful. Any tourist hotspot is sure to have a downside in the form of touts, unofficial guides, ‘souvenir’ vendors, and things seem far worse in this part of the world. However, once you adjust to the cultural and sensory overload, you should be able to look beyond these problems and explore Agra at its beautiful best. 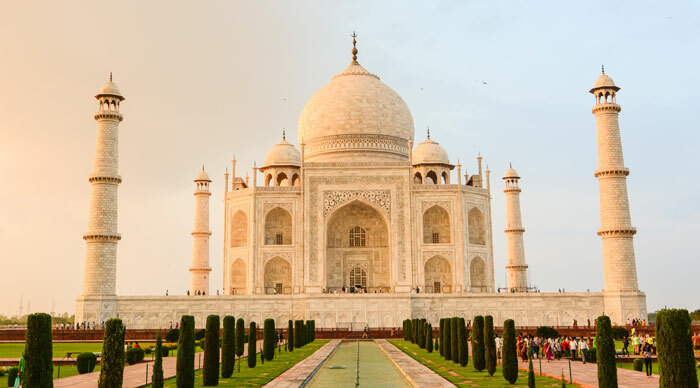 Reserve a lot of time for the mesmerizing Taj Mahal, but don’t forget to add a few other forts and palaces from this list into your itineraries. Each of these Mughal monuments is worth exploring, for every palace and every fort is full of tales, stories and mind-boggling architecture. Thanks for the compliments John, appreciate it. Hi you are exploring the famous structure as we have in Agra. Why don’t you make a link in you profile to attract the guests or locally people. I have some new plan and planed activities in Agra. Can be in a touch probably? Hey Mohan, thanks for your input. If you have ideas you can always contact us at customerservice at bookmundi.com. I hope above was helpful.